Filipina in Flip Flops | Travel Tales and the City Life of a Filipina: Promo: Get A Free Helicopter Ride In Hawaii! The folks at The Villas at Poipu Kai were kind enough to offer a special promotion for Filipina on Flip Flops readers! Check out the details below. Many thanks to Jake for this promotion. Kauai is the oldest island in Hawaii. The greenery, cliffs, and beaches make it a natural film set for Hollywood. The scenery is inspiring and creates an experience not only good for making movies, but for a revitalizing vacation. You can hike, surf, or fly around the island during your trip. Today we are offering our readers a chance to fly around the island for free. 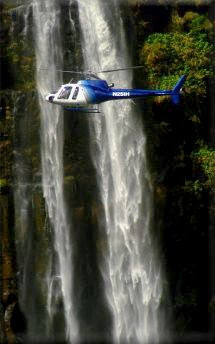 The Villas at Poipu Kai are giving you a free helicopter ride with any booking made in March*. If you’re planning a trip to the islands this year, don’t miss this intimate experience on the island of Kauai. You will get to stay at The Villas at Poipu Kai - a 27 unit condominium resort located 5 minutes from Poipu Beach. The Villas have 3 or 4 bedroom options, making them ideal for a group of couples or families. They also include expansive lanais and living areas for games and eating. It is a great home base for your vacation in Kauai. Call 866-407-0249 to book your Villa before March 31st. *Offer limited to one tour per six (6) night reservation or two tours per twelve (12) or more nights. Offer valid on new reservations made before March 31st, for travel anytime before November 15th. post's to be exactly what I'm looking for. I wouldn't mind creating a post or elaborating on some of the subjects you write related to here. Again, awesome blog!